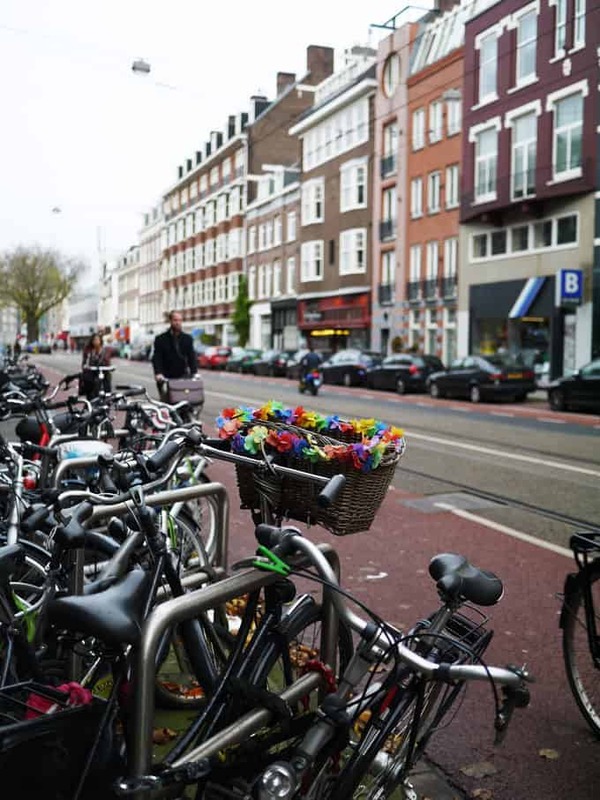 Amsterdam is probably the European city I’ve spent the most time in, my lovely brother in law and his wife live there and so, life before children, Mr TT and I would nip over for a visit whenever we could. We’d come home tired and hungover, full of kaasstengels and hazy memories of amazing restaurants and wandering home late at night, along the twinkling canals. Life now is rather different and our trips to Amsterdam had been halted whilst we’ve been busy having babies. Then, a couple of months ago, KLM got in touch and asked us if we’d like to try out travelling from one of the 16 regional UK airports that they fly out of. With flights from Birmingham to Amsterdam taking only an hour and ten minutes, we decided to brave Amsterdam with toddlers. The whole flight experience was a pleasant surprise, a dream in fact. 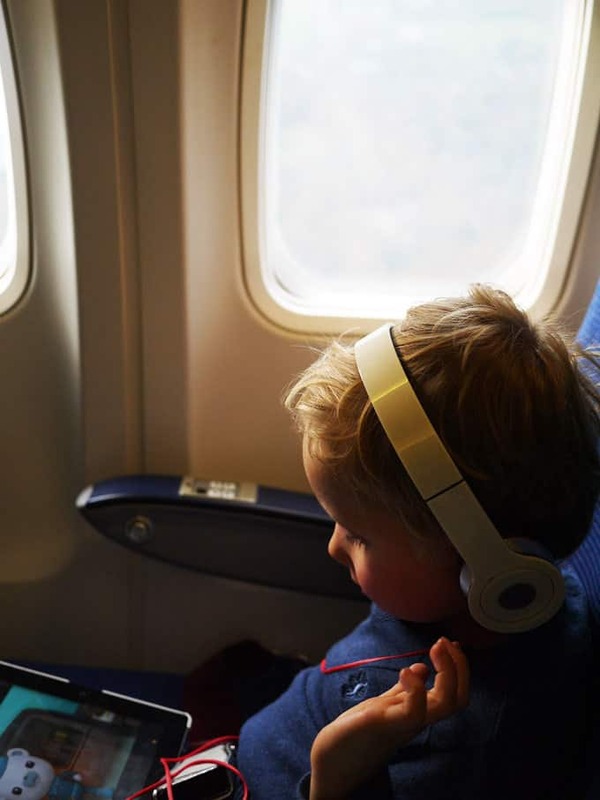 I think it was down to a combination of the children being 6 months older than last time we flew, having plenty of flight times available from KLM to choose one perfect for us and the amazing convenience of a local departure airport. 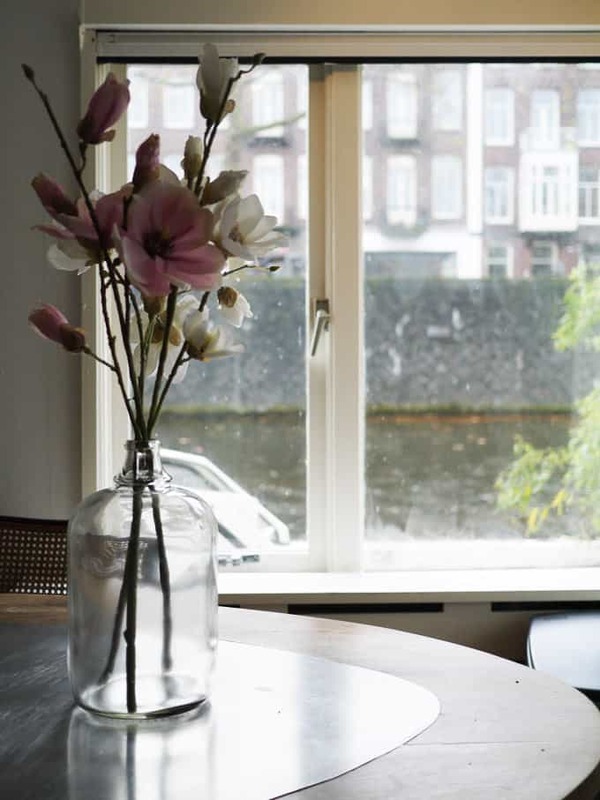 Within just a few hours of leaving home, we were arriving in Amsterdam ready and raring to explore. Local parent friends of my brother in law had kindly given me heaps of tips before our visit. 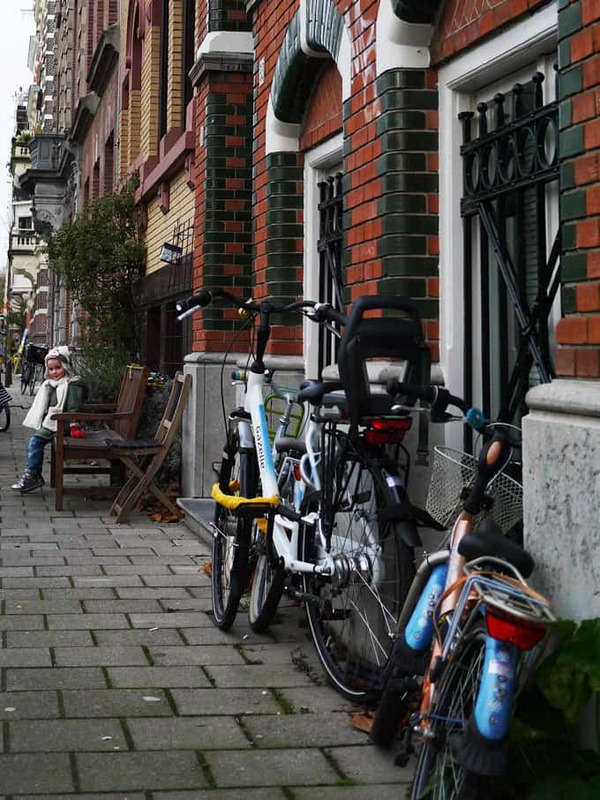 My hunt to find the best child friendly bits Amsterdam had to offer came up with some gems. We started our visit with a trip to Pancake Carousel. An Amsterdam tourist institution, it’s a pancake restaurant with (unsurprisingly) a carousel in the centre. The carousel doesn’t move but that did not dull the enthusiasm from our tiny two. They sat on the horses, playing and racing about whilst we waited for our brunch to arrive. Oh these pancakes were something special. 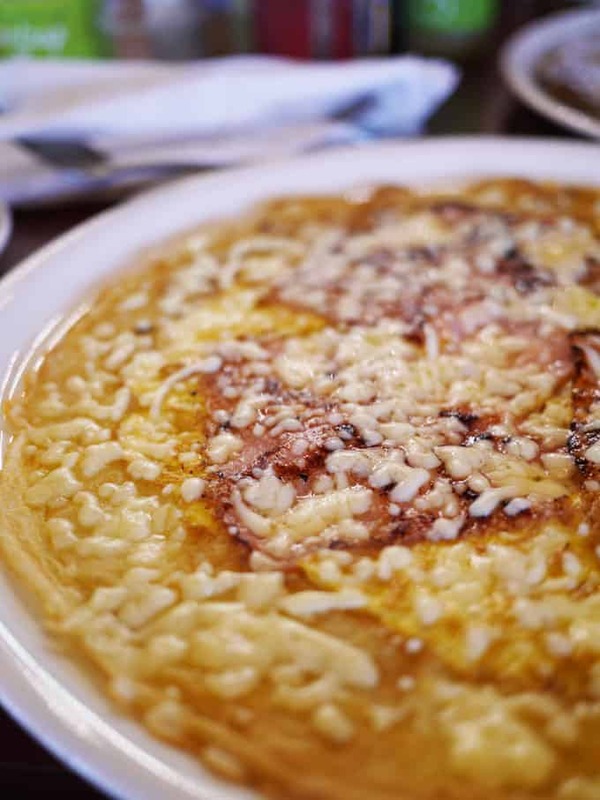 Crispy at the edges and fluffy in the middle, my ham, cheese and egg one was the stuff my dreams are made of (just me?!) and worth a trip for that alone. Next we wandered down to the Rijksmuseum. 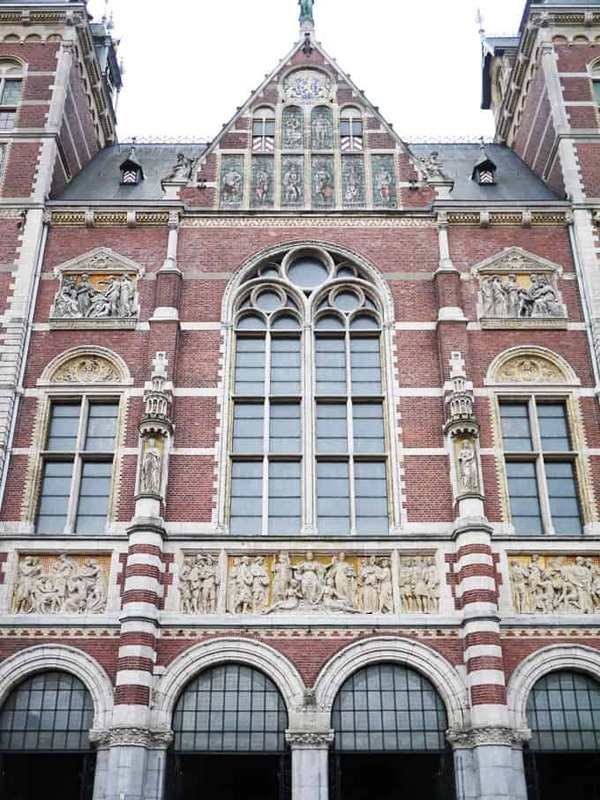 It’s a national museum dedicated to history and arts in Amsterdam. If you’re there with children, it’s definitely worth looking at what exhibitions are on and if they are suitable. I felt ours were just a touch too young at this visit, although if we’d been staying longer we would’ve made a trip inside. 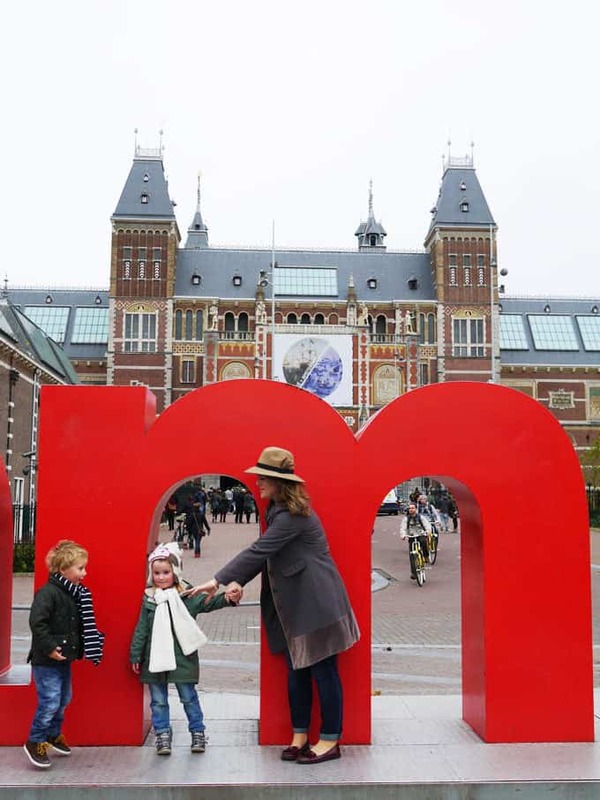 As you walk underneath, through the arches of the museum, you come out into Museum Square and one of the most photographed modern sights of Amsterdam – the iamsterdam sign. Could I resist? Of course not. Oh they LOVED the sign! There were kids and grown ups climbing and leaping all over it (I’m not sure if that’s strictly allowed…) We spent ages spotting the letters from their names (and Mr TT trying to persuade me to climb to the top of the S). 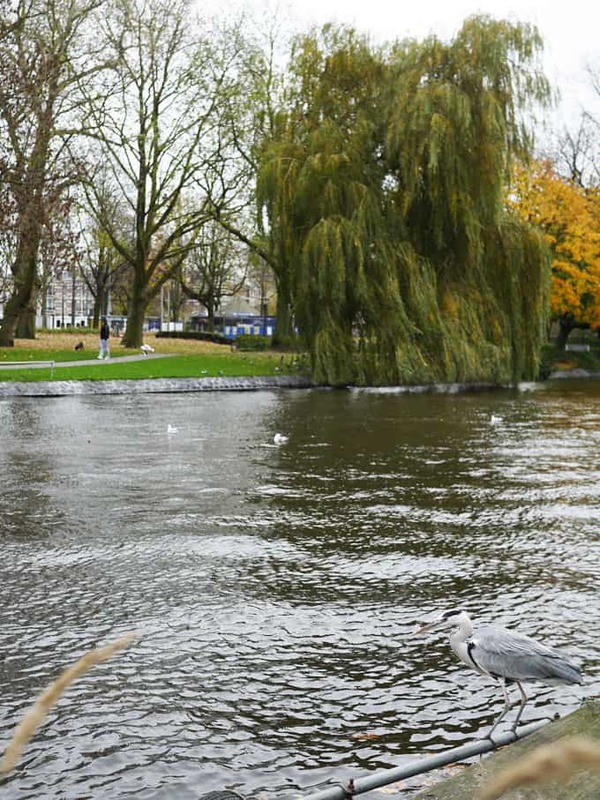 Next we wandered down to the beautiful Vondelpark. 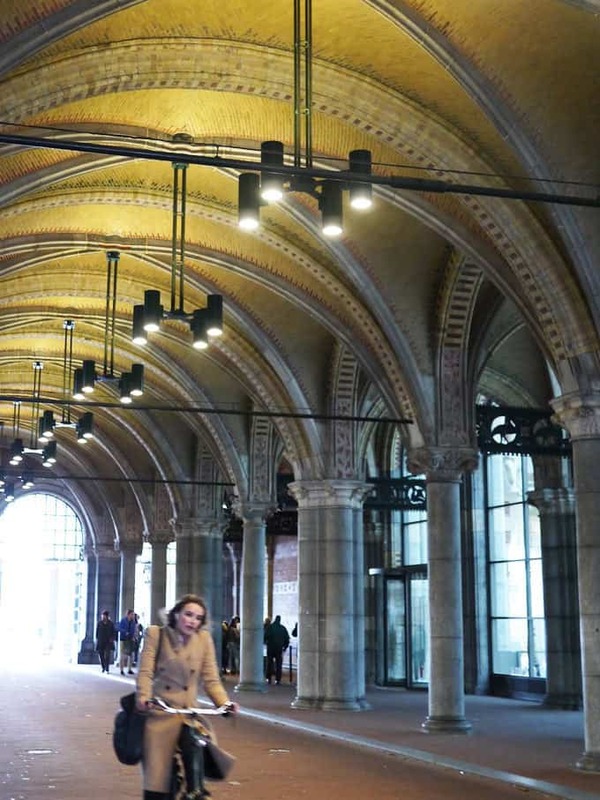 A huge green, community space smack bang in the middle of bustling Amsterdam. 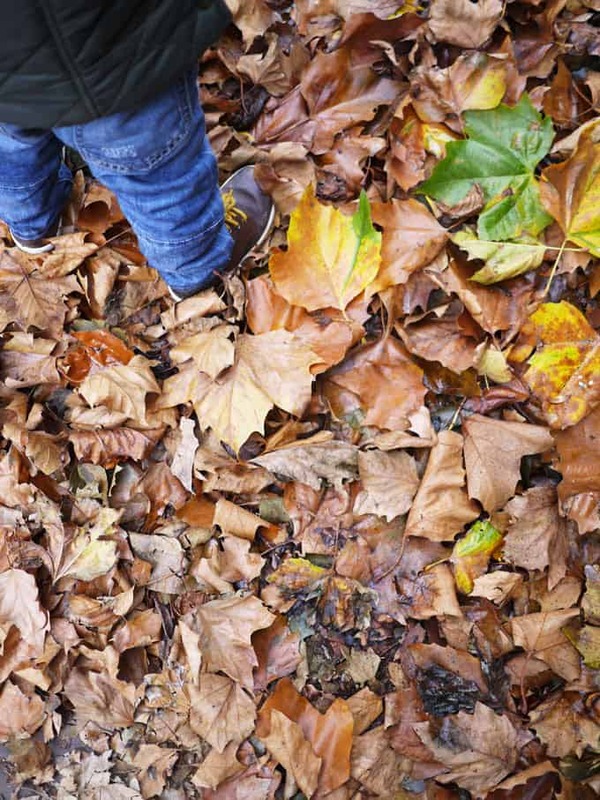 We kicked leaves and spotted ducks and hunted down some of the amazing play areas. It’s a huge area and we could’ve easily whiled away a whole summer day there. 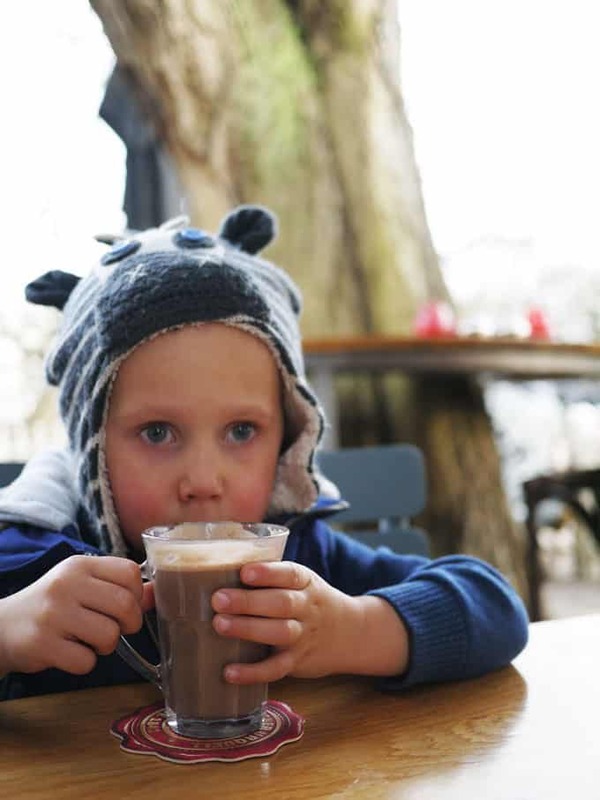 On the other side of the park, we arrived at our last stop of the day – KinderKookKafe. 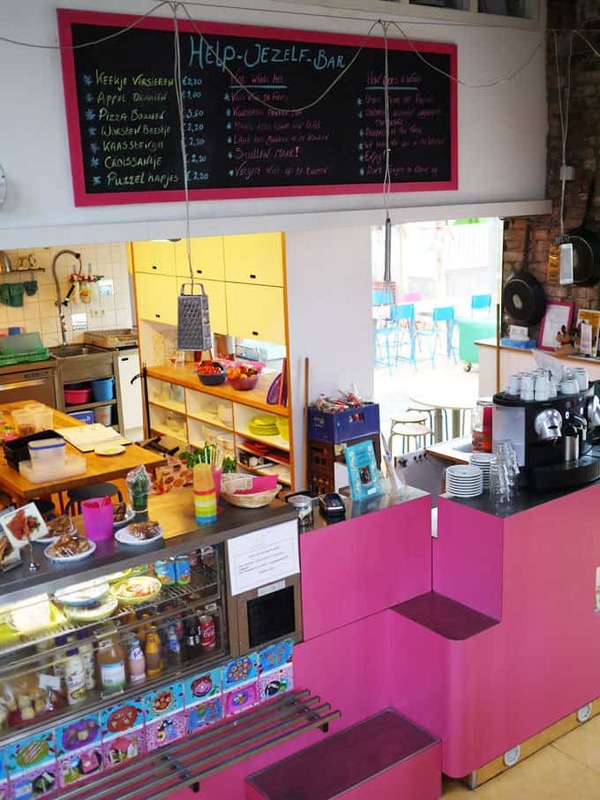 This nifty pink little cafe is a restaurant with a difference, the children do the cooking. They choose what they’d like to make (from a pictoral menu), help themselves to the ingredients (easy to reach as the counter is a perfect height) and they get stuck in and create. Really reasonably priced, there’s also heaps of toys and dressing up clothes. 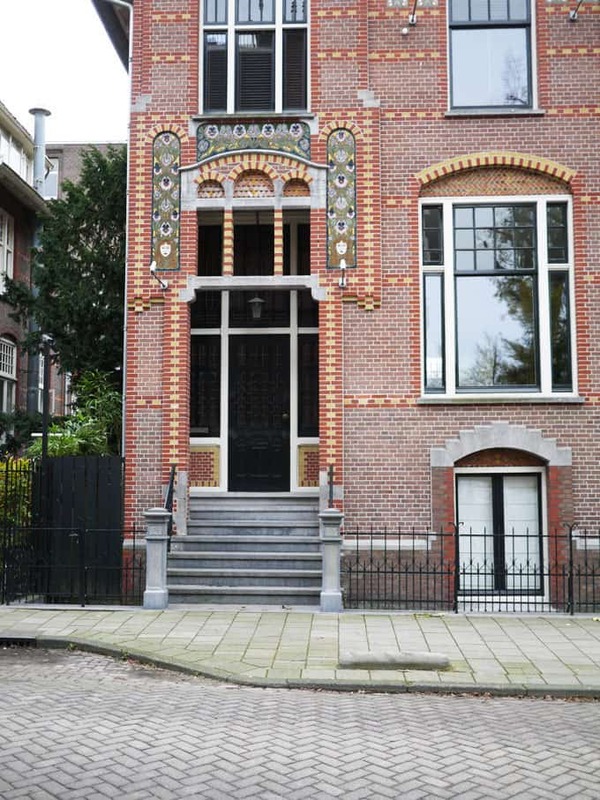 This a real gem of a place for families with young children in Amsterdam. Our two absolutely loved it, the whole place was designed with such care and thought for kids, we had to drag them out with the promise of a tram ride. We stopped for a Hot Chocomel before making our way to our home for the trip, a houseboat. I’ve always wanted to stay on a houseboat, so this was a real treat. 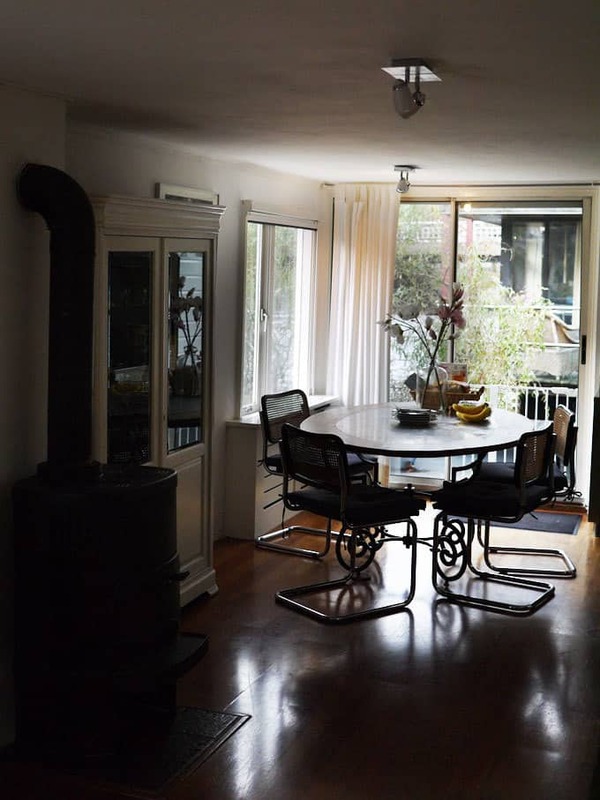 We chose one on Airbnb as it was family friendly and really central. Staying somewhere with two bedrooms and a living space also meant that we could put the children to bed, and then have some grown up dinner with Uncle Nigel and Auntie Fi’. We used two ace food delivery services for dinners, they deliver food straight to your door from some of the best restaurants in the city https://deliveroo.nl and https://www.foodora.nl. How clever is that?! 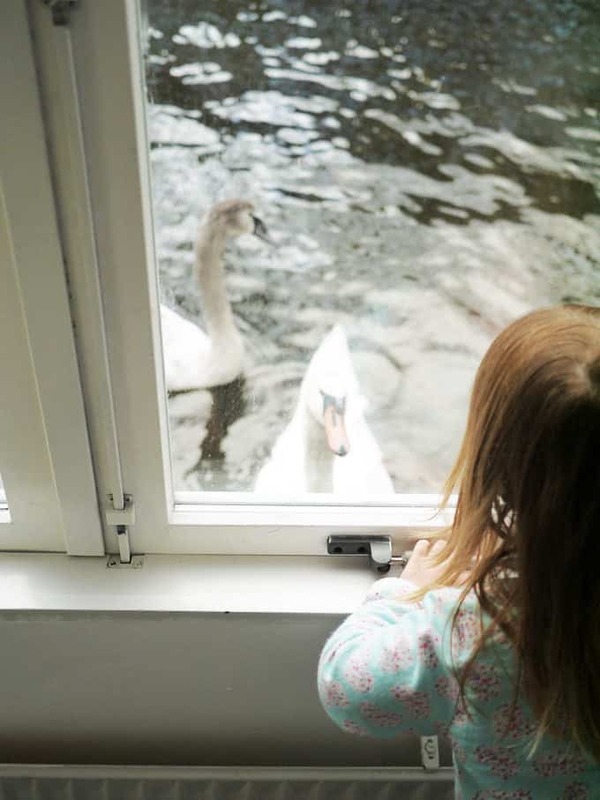 The swans appearing at the window also provided additional entertainment for the trip..
Here’s a little video of our trip…. 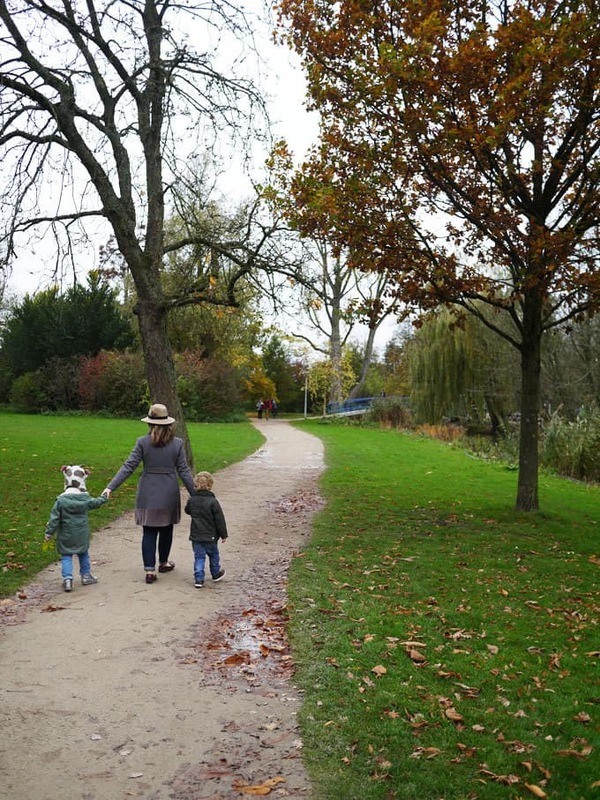 We hadn’t quite known what to expect from a trip to Amsterdam with kids, but day one was a huge success. I’ll be back tomorrow with part 2, including trams, even more pancakes and pirates. With thanks to Nigel, Karina, Claudia, Samira, Jo and Louise for tips and advice. Disclosure: Our travel was kindly provided by KLM. As always, all opinions are honest – we were super impressed. Gorgeous pictures from a lovely trip Sarah! You packed so much into a few short days! I’m with Harriet on pancakes – no messin’ here either! I can’t get over how lovely the houseboat is too! 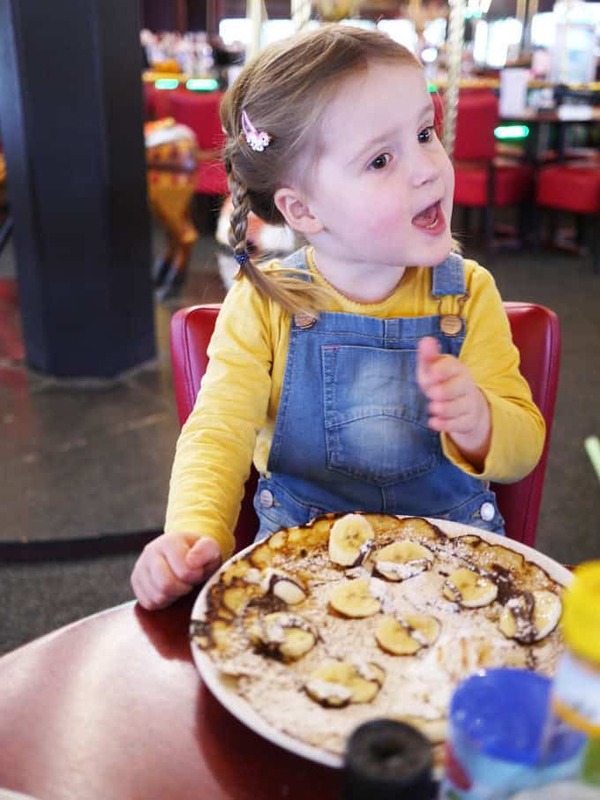 I went to Amsterdam last month and now I want to go again to revisit the pancake carousel! We flew from Birmingham too (so easy from Beeston!) but I had no idea KLM flew there so I’ll keep that in mind for our next trip. 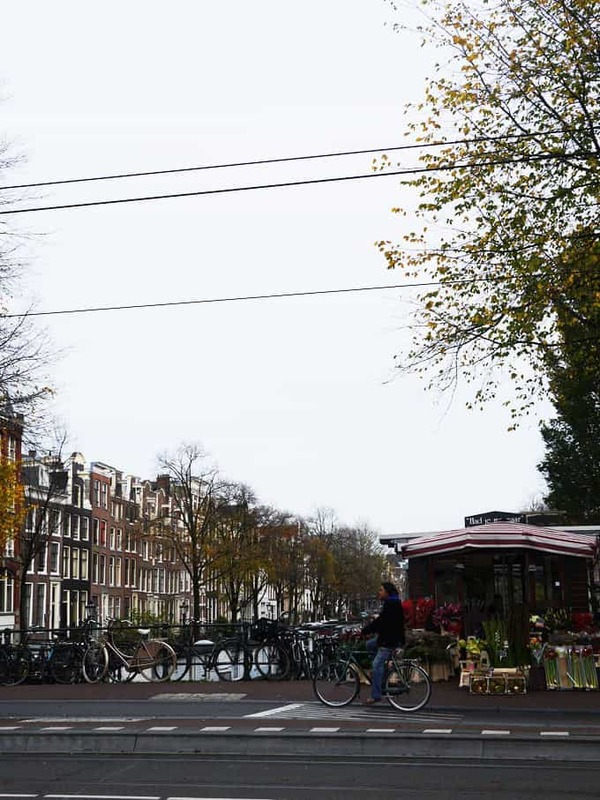 Your photos are making me really miss Amsterdam, it’s one of my favourite places in the world and so great that KLM makes it so easy to fly there. 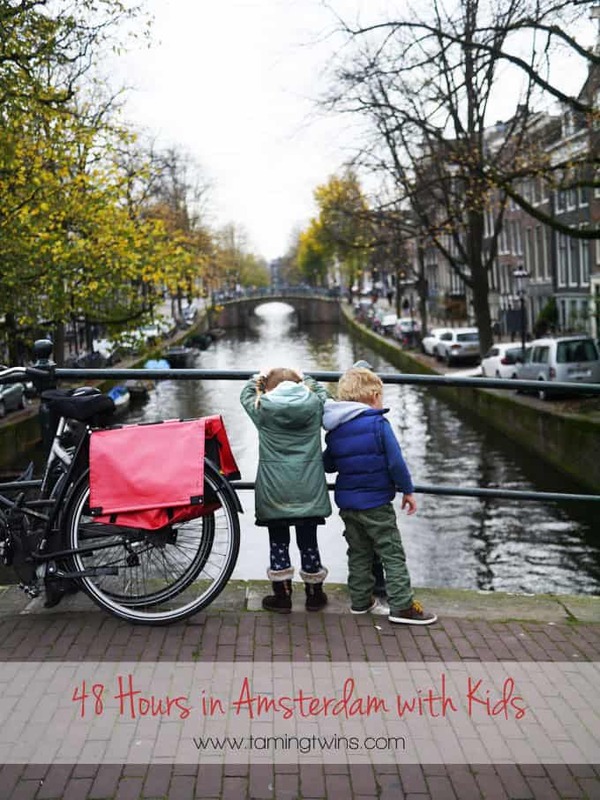 I would never have thought of Amsterdam as a kid-friendly destination – but it definitely seems to be! 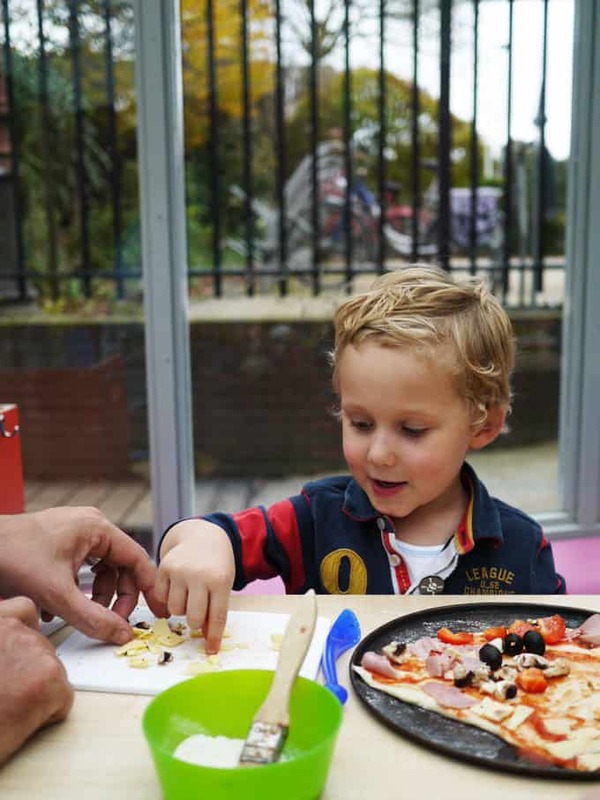 What an inspired idea that café is where the kids cook – somebody should start that in west London 😉 Great pics too! 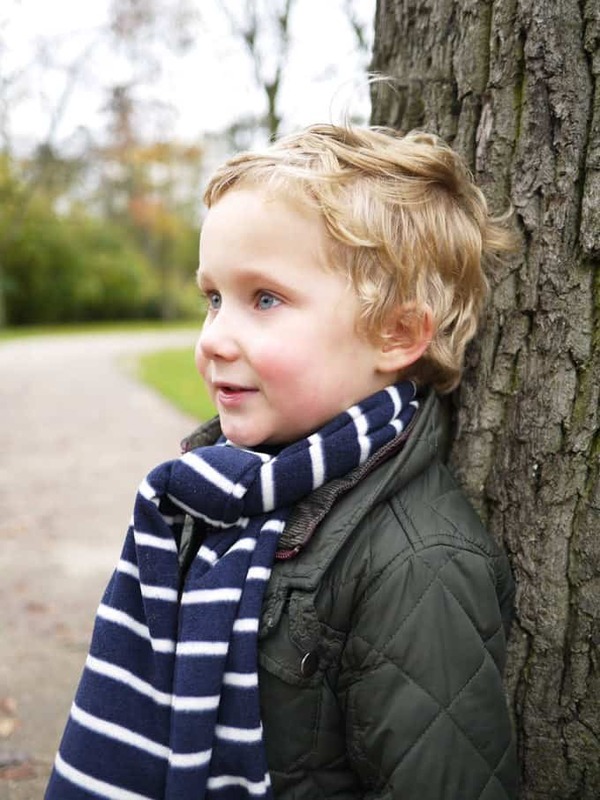 Lovely photos and a great post – sounds like you had a great trip. I’ve flown KLM before, they are a nice airline -preferable to blimmin Ryan air! I’d like to visit Amsterdam now! Amsterdam is such a beautiful city. I spent five nights camping in the centre of it about 13 years ago and loved it (except the bit where I got food poisoning and my then–boyfriend dumped me in the tent in the middle of my spewing…. but that’s another story). How wonderful to travel there again! I have never been to Amsterdam but your family holiday has reminded me that it has plenty of culture and scenic views to counteract the red light district. You have beautiful photography skills. I’ve never been to Amsterdam, but it looks absolutely gorgeous. Your photos are beautiful.